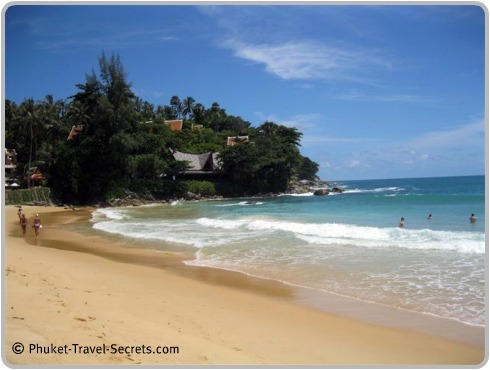 Karon Beach Phuket is by far one of the best beaches and personally one of our favorites. Although still busy throughout the high season, it has a more relaxed feel then Patong. The far northern end of Karon beach is the quieter area and there are not as many tourists, a perfect spot if you want the beach to yourself. Karon Beach is an ideal spot for family beach vacations and with it's central location makes exploring the Island easy. Most resorts and hotels at Karon are located across the road from the beach with only a couple of resorts situated directly on the beach. 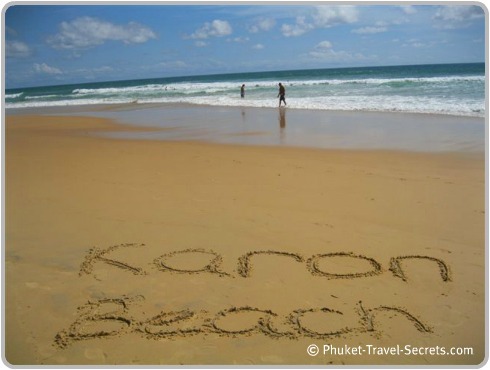 Karon Beach Phuket would have to be one of the best places to stay and we think one of the best beaches in Thailand. 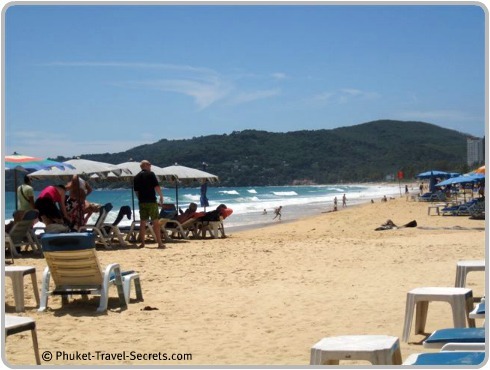 Karon Beach is the second major beach destination in Phuket after Patong, but due to the length of the beachfront you will never feel as though it's overcrowded. Towards the southern point there is a fine coral reef stretching towards Kata Beach and Pu Island. The far northern end of Karon beach is usually much quieter then the southern end. Just like Patong, there is a wide variety of water activities available throughout the high season at Karon beach, such as jet-skis, para sailing, banana boat rides, and much more…. The southern end of Karon Beach is the best spot for snorkeling and equipment can be rented at the southern end of the beach from Phuket Scuba Club. The water is crystal clear, calm and great for swimming from November through to April. From May to October Karon Beach Phuket can be very dangerous and unsuitable for swimming. Sadly there has been a number of tourists drown at Karon Beach, along with other popular beaches in Phuket. So if your travelling to Phuket during the monsoon season always check to see if there is a red flag and if there is don't go in the water. If the red flag is flying, find a masseuse they are set up in the shaded areas at the back of the beach and enjoy a Thai massage or foot massage, then go for a swim in the resort pool. You can check the latest beach conditions at Karon Beach Phuket from the live webcam that is located at the Rocks Restaurant at the Marine Phuket Resort. There is a fantastic selection of places to stay at around Karon Beach Phuket, ranging from budget hotels to family friendly hotels and resorts including a couple of luxury five star hotels. Movenpick Resort & Spa is a popular spot for that romantic getaway. The resort is also one of the best resorts for family beach vacations. 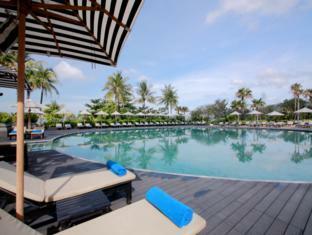 Centara Grand Beach Resort is located in a perfect spot directly on the beach. 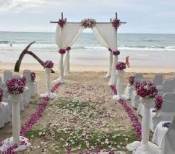 Beyond Resort Karon was formally known as Karon Beach Resort. 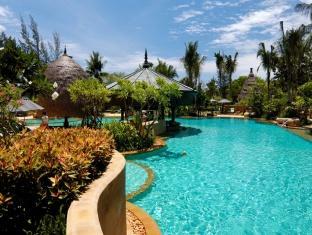 Hilton Phuket Arcadia Resort & Spa is a great place to stay if your travelling with kids. For more information about this 5 Star Resort you can also visit their website. 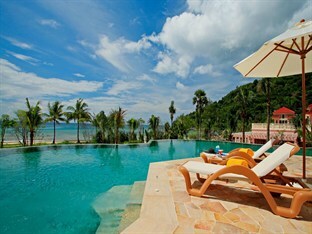 Horizon Beach Resort at Karon is located on a hill at the southern end of Karon beach. 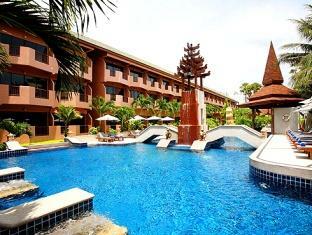 Centara Karon Resort is located at the northern end of Karon. Situated close to restaurants, bars, shops and only a few minutes walk to Karon Beach. 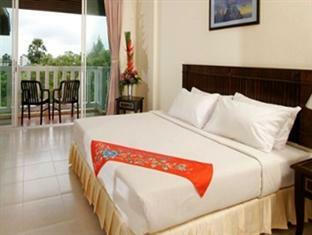 Phuket Island View Hotel is situated in a great location directly opposite the beach. 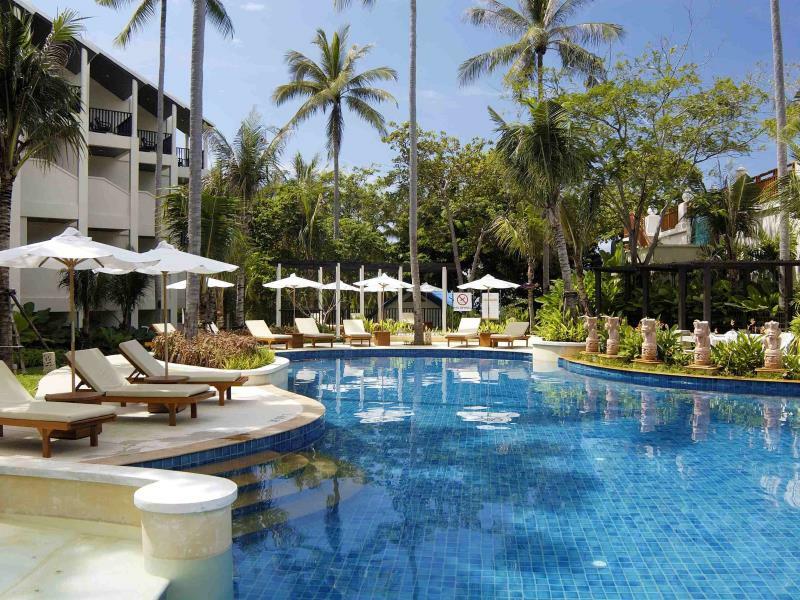 Kata Villa at Karon beach is a great find and one of the best budget hotels in Phuket. 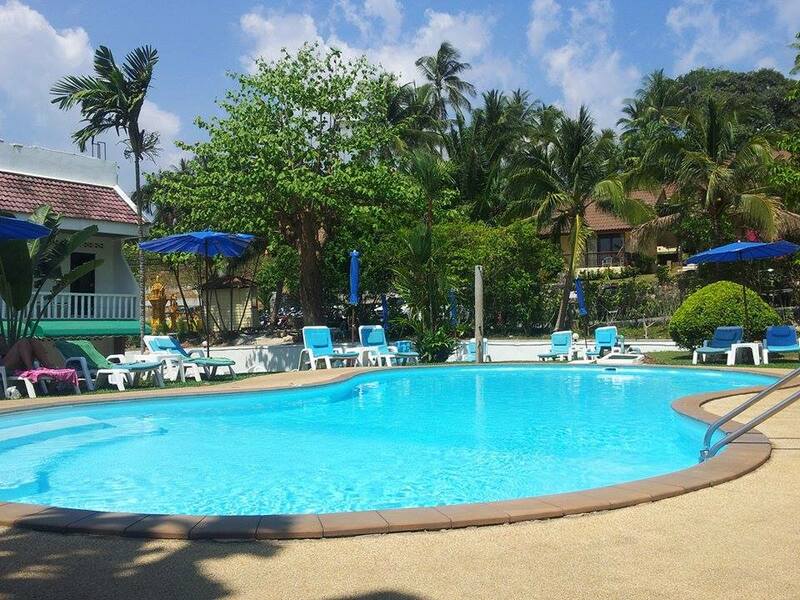 The location of this friendly budget hotel on the southern end of Karon Beach is excellent, just a short walk across the road from the beach. Karon Living Room Hotel is excellent if you are on a budget. The rooms are clean and spacious. 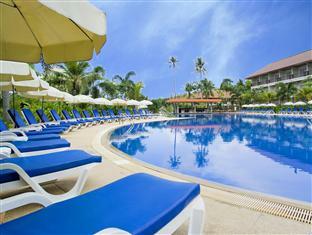 The hotel is located 15 minutes walk from Karon Beach. If you are still unsure where to stay then feel free to have a look at the detailed list of all resorts and hotels near Karon Beach Phuket in the search box below. Night life around Karon is similar to that of Patong, although a lot quieter. Karon has its own version of Patong's Soi Bangla with a range of bars, but on a much smaller scale. Most of the nightlife in Karon can be found around the bars that are located off Patak Road near the Karon Circle and south off Luang Poh Chuan Road. It is here that you will find the majority of beer bars with Thai girls. Angus & Arfur O'Tools Irish Pub is a great place to go for a relaxing night out and international beers, bottled beer and pub food. For live music head to the Karma Lounge on the corner of Luang Poh Chuan and Patak Road or one of many reggae bars. For a great family fun, and a night out with the kids, visit Dino Park at the southern end of Karon, where you can play mini golf, enjoy a nice cold drink or enjoy a scrumptious dino burger. The side soi's are worth exploring, in particular the one leading to a small art community, where Thai painters have built a complex of huts, pubs and art galleries. We have found some fantastic restaurants, the majority are located around Karon Circle and towards the southern end of the beach. Seafood lovers will enjoy dining at Mali Waterfront Seafood & Lounge Bar also famous for its full moon parties, popular for both locals and visitors. One of our favorites restaurants is Ruen Thep Inn, which is located directly on the southern end of the beach, here you will find a selection of fresh seafood and Thai cuisine and picturesque views. Just across the road from the Ruen Thep Inn you will find Kata Villa, the food at Kata Villa is amazing and you will be impressed with the prices.. Located just down the road from Kata Villa near the Karon stadium is a row of Thai style seafood restaurants. These restaurants are all reasonably priced with some of the best Thai food in Phuket, they may not look much but the food is great. They also have some western dishes. Shopping at Karon is by far more relaxed than shopping in Patong. If you are looking for a supermarket you will find one at the Karon Circle, along with a range of other shops including pharmacies and lots of tailors. 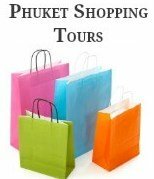 There is also a large selection of souvenirs like wooden handicrafts, Thai silk cushion covers as well as shoes, sunglasses, suitcases and bags. Karon has many opticians that have a great selection of genuine sunglasses and reading glasses much cheaper than you will find in Western countries. Along the beach road you will find Karon Bazaar, a shoppers dream. The bazaar is actually a market, where you will find everything that you will need all under the one roof. We recommend that you shop here at night as it gets extremely hot inside the bazaar during daylight hours. Within the bazaar you will find an assortment of DVD's, CD's, sunglasses, hats as well as fake billabong shorts and shirts. 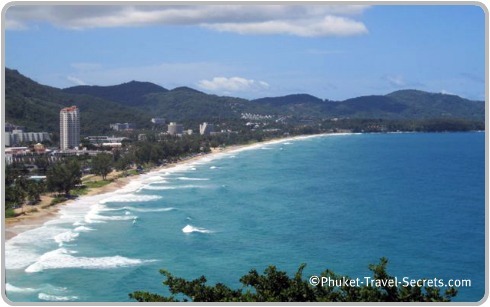 Karon Beach is located only 6kms south of Patong. Just follow the beach road through Patong and turn to the left into Prachanukhro Road. Then turn to the right into Sirirat Road which will turn into Patak road, follow it around past the Nong Han lake and onto Karon road that runs parallel to the beach.